We all know someone who loves to stay at home, relax and get cozy. In the winter, it can be tempting to stay inside where it's warm, put on some soft slippers, and sip a cup of your favorite beverage. Sometimes I love nothing more than staying in and getting lost in the pages of a great book while lounging with a cup of tea and a furry throw. 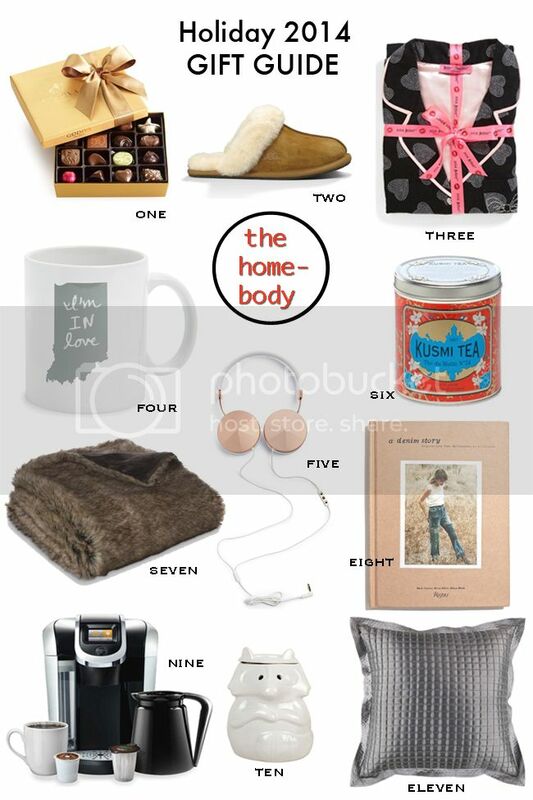 For my latest holiday 2014 gift guide, I've selected eleven of my top gift ideas for the homebody. For more holiday shopping gift ideas and inspiration, see my holiday gift guide under $50, my gift guide for the beauty junkie, my gift guide for the glam girl, or my gift guide for stocking stuffers.